If you’re a regular TDG reader, you probably have a thing for prospects. It’s ok, the first step is admitting it, and you’re among friends here. Keeping up with prospects throughout the season can be hugely advantageous for diligent Fantasy players. Everyone knows about the Jurickson Profar’s and Oscar Taveras’s of the world, sure, but how many casual fans knew to grab Pat Corbin before the season? How many invested in Jean Segura? To put it bluntly, those in the know when it comes to MiLB are better positioned in the Fantasy world than those who are note. Obviously, this is infinitely truer in keeper and dynasty leagues, where at least some MiLB knowledge is a requirement. Yet there are two times during the year when our thirst for MiLB knowledge and quest for “the next big star” can come back to bite us. The first is during draft day, when many overlook established stars while trying to catch younger, sexier lightning in a bottle. And the second is at the trade deadline, when we become loathe to give away promising prospects for anything short of Mike Trout. So today, I am here to remind you of two things that you already know: it’s ok to trade prospects, and if you have a shot at competing in 2013, you should take it. A point that Bret makes all the time in his rankings is that league and roster size play an enormous role in determining the inherent value of any prospect in Fantasy. If you’re one of the clinically insane who plays in a 20-30 team league with 25-40 man rosters, then yes, Fantasy prospect value is pretty similar to the value of a prospect in real life. But for the vast majority of Fantasy players – those of us who frequent 10-, 12-, or 14-team leagues – that isn’t the case. And the fewer players rostered at a time in a league, the less value any non-premium prospect commands. This is important because it gives savvy keeper and dynasty leaguers the ability to try and take advantage of other prospect-happy owners who are impressed by quantity rather than quality. Let’s go with a feasible example to try and make this a bit more tangible. Let’s say you’re in a 12-team keeper league with 10 MiLB spots per team. Your team is in second place and your biggest area of need is pitching. The team in eighth place has Cliff Lee on the block and is ready to deal, but is demanding your best prospect – Xander Bogaerts – as a starting point (an imaginative scenario, I know). It may be tempting to send Bogaerts, maybe even in a one-on-one, and keep the majority of your farm system intact. But Bogaerts is a potential future first-round pick, and replacing him, at least in the short term, is nearly impossible. So instead of hitting “accept,” you send a counter-offer instead: Garin Cecchini, Kyle Zimmer and Tyler Glasnow for Lee. You might be thinking “woah, that’s way too much” – and hopefully your trade partner is too — but it’s a package I’d much rather give up than one even of just Bogaerts. For one, none of the players listed above has true star power. And secondly, it’s a package focused largely on pitching prospects, which we all know are bigger gambles than their offensive counterparts. So yes, you’re giving up three Top 100 names. But those names are easier to replace than is Bogaerts, and that’s especially true if you’re very invested in the minor leagues. I’m aware that this entire column is a little abstract and there are a wide variety of circumstances I haven’t covered, but I hope the essential takeaway is clear. We all have favorite prospects and guys we’re especially intrigued by, and just like many real-life GMs, we hate the idea of trading these players away. But a shot at a first-place finish in a Fantasy league is a rare thing (if your league is halfway decent), and moving non-elite prospects for a shot at glory is something every owner should be very willing to do. So hold on to the Bogaerts’s and Taveras’s and Buxton’s of the world, but other than that, deal your precious MiLBers liberally. Prospects come along a lot more often than do shots at a title. wherer do you draw the line between elite prospects and nonelite prospects? top 5? 10? 20? This is not to answer for Ben, but I thought I’d chime in. There’s not a specific number in my mind, that can be held constant. If MiLB talent is down in general, there might not be an elite prospect that’s untouchable. When talent is up, it might be 20 deep. You just have to figure out who is elite for you and go from there. For me, off the top of my head right now it is probably somewhere in the 6-11 range. That’s a wide range, but I’d have to really think about it. What Craig said. Right now, I draw the line at three — Bogaerts, Taveras and Buxton. Sano and Baez just a touch below, but I’d also be quite hesitant to move. Would you keep Billy Hamilton if you drafted him and have held on to him this long? I am in 1st place right now, but lost Pujols and could use some help. Do I risk trading Hamilton’s future to win a category by himself to “try” and win this year? Of course you do. If trading Hamilton can help you win this year, I would do it. He’s a generational talent for SBs (and if he can’t get on base, what’s the point? ), but only one team in your league can own him. I won’t be convinced that every other team will struggle because they don’t have him. Banners fly forever; go for the trophy! Ben, I am not expert but I highly recommend you trade Hamilton to try and win this year for two major reasons. 1 – You get a shot at the crown. You play to win the game as Herm Edwards famously put it and raising a championship banner is the greatest feeling. 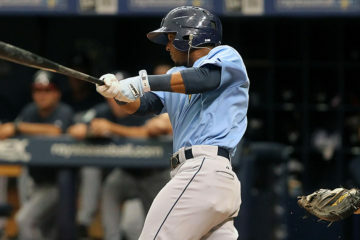 2 – (This is a BIG one) Billy Hamilton’s value is in his speed which is 100% dependent upon his ability to get on base. Here is the problem . . . he can’t get on base! His OBP is ridiculously low. If someone is buying Hamilton’s stock and you can get a solid 1B in return, then I suggest you make that move. I’m doing almost the exact same thing in one of my long-term dynasty leagues. I’ve had Billy Hamilton for three years and have been holding, but I’m almost certainly going to deal him for an outfielder this year because I have a great shot at a title. Flags fly forever. I think the “if you drafted him and have held him this long” sentence is key here — that shouldn’t matter! You’re getting overattached to a prospect who you “found” before anyone else, and it’s clouding your judgement. If you love Hamilton, you will let him go. You should love titles and prize money/bragging rights more. Hello, my name is Joe, and I am a prospect-aholic. Good article, as I need to constantly remind myself that it is okay to let prospects go. As far as the elite prospects, when is it okay to consider trading a guy like Bogaerts? What type of OF would Bogaerts command in a 20-team dynasty with 45 man rosters? I’m thinking of a situation where neither player is going for the title. So,the Bogaerts owner would be looking for a pre-prime / prime player in return. I’d be aiming to get a top-10 outfielder, by including other pieces and using Bogaerts as a centerpiece. His value can go a long way right now. In a league that deep, I would not trade Bogaerts unless I received a superstar in return. If neither player is going for the title right now, why trade X for anything less? Would you trade Xander Bogaerts for Jordan Zimmerman and Francisco Liriano. Neither pitcher would be a keeper for me next year. But I could keep Bogaerts next year as a minor league keeper. Our keeper rules are 5 MLB Players, 1 rookie keeper, and 2 minors players. Trying to win a championship and I’m not sure Zimmerman and Liriano are worth losing Bogaerts. If you have a legit shot at the title and pitching is your week spot, yes. Otherwise, hold Bogaerts. If you only keep 2 MiLBers, it will be even tougher than usual to replace his value. What about trading someone like Springer for an MLB talent like Marte? Similar profiles, more this-year impact is what I’m thinking. Last month I swallowed hard and traded some of my top talent (Max Fried, Christian Yelich, Trevor Bauer and Jedd Gyorko) for Miguel Cabrera in a deep dynasty salary league. We haggled for several weeks over which prospects to include in the trade. Now that look back, even with Miggy’s injuries, I wish I would have done it sooner. You can’t always be building for the future. You have to pull the trigger when your team is in contention. Great article! That’s a good trade for you. There’s no minor leaguer in the game I wouldn’t trade for Miggy. I have a chance to acquire Ryan Braun, Sergio Romo, and Tyler Glasnow for Desmond Jennings and Chritian Yelich. I am competing this year but not on purpose. I was planning for 2014. I have McCutchen, J. Upton, Puig, Myers, Tavares, Buxton, Polanco, Castellanos, Dahl, and Springer all as well so I’m not hurting for OF. But does the production Braun can bring next year make acquiring him a good idea? I need pitching more but I don’t think I could get a pitcher in the level of Braun for just Jennings and Yelich. The value is certainly there, but you have to decide whether going for it this year is the right move for you. If its not, I think it’s a good deal, but don’t take contention for granted. (Sorry in advance for the re-post) Thoughts on me dealing Springer for Marte? Could use the stats today for the ROS push, but I’m scared Springer will bloom into more than Marte in the long-term. 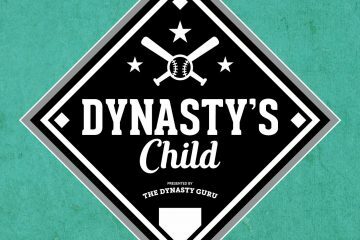 12-team dynasty with 10 MILB spots. Can Marte match Springer over time? Springer has 30/30 potential, but there is still serious uncertainty about his plate discipline. I can’t help but think of Chris Young. Marte also has his issues but he’s already had success. Personally I see the two pretty similar for long term value, maybe with edge to Springer but with more risk. Meaning if trading for Marte can get it done for you, go right ahead and do the deal. But that’s just, like, my opinion man. I agree that both are similar, but I think the key here is that Marte has already began to prove himself at the MLB level. Both have lots of swing and miss in their game, but Marte has already been exposed to MLB pitching and more than held his own, while we do not know how Springer will handle advanced pitching. When two guys have similar potential (although Springer MAY have a little more power), I would choose the young MLB player over the unproven prospect. The better question is whether Springer can match Marte. Sure, Springer could be really good, but Marte is really good. Give me the Pirate. Thanks for the reply! Essentially, that’s what I had worked out as well. Was able to flip Springer and Pineda for Marte and Papelbon. Both will help me keep my lead this year and should be valuable for years to come, though Paps less obviously. Yea, but it really depends how comfortable you feel about JV in the short and long term. If you think he’ll be back to his ace-like ways, it’s a great deal, if not, it’s just an OK deal. Would you ever advise trading two elite prospects for a superstar if you have a chance to win a league? My situation this season at the trade deadline was 5th place in a 20 team h2h league 7 games back of the division leader. Top 6 teams make the playoffs. The 19th place team had Cargo on the block. I had Taveras and Walker in my farm system so I traded them for Cargo. Absolutely. Prospects are great, but superstars win championships. Nothing wrong with pushing your chips into the middle of the table if you can win the whole thing. Do you think dealing two top 10 prospects for a superstar and a great shot at championship is worth it? I was in 5th place in my 20 team H2H dynasty (top 6 make the playoffs) and I dealt Taveras and Walker for Cargo at the deadline. I am trying to compete every year so I tend to undervalue prospects compared to the rest of my league. I thought it was a pretty good trade that immediately made me a top contender without giving up any current production. But everyone in the league thought the other party got a steal. Sorry, didn’t know that other one posted.